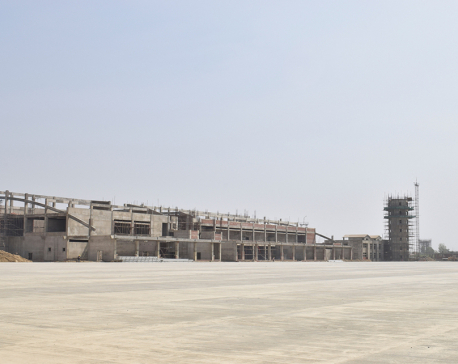 The construction of Gautam Buddha International Airport, which is already delayed by a year, is expected to be complete by next year, according to latest reports. The work to upgrade the domestic airport located near Gautam Budha’s birthplace Lumbini started in 2015 with a plan to complete it by 2017. However, like in other major projects in the country, the work at the site was delayed. According to the project officials, the construction of the administration building, control tower, runway, international terminal building has reached the final stage. It has become imperative to develop domestic airports both in Bhairahawa and Pokhara without delays due to multiple factors. When Tribhuvan International Airport (TIA), the country’s only international airport, is not working, we have no alternatives to divert flights. In April this year, flights operation had to be halted for hours at the TIA when a Kuala Lumpur-bound Malindo Air flight suffered a runway excursion. In 2015, the only international airport had to be closed for four days after a Turkish Airlines aircraft suffered similar runway excursion. Also, the airport has to be abruptly halted for repair works whenever there are issues like cracks on the runway. Such a situation is in fact a national shame for a country. We must find a solution to this problem and develop Bhairahawa and Pokhara airports as regional international airports at the earliest. This has become urgent also because of the government’s plan to host two million international tourists in 2020. The only international airport is already under tremendous pressure due increasing number of passengers. 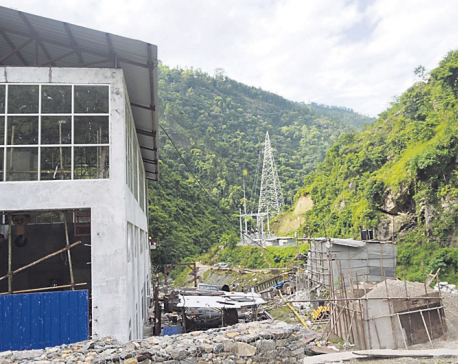 With the government’s announcement to upgrade the Bhairahawa airport as an international airport, private sectors have already made huge investments in the areas. Some hotels and resorts of international standards have already come into operation while some others are in the pipelines. Roads and other infrastructures are ready accordingly. Once international flights operate from Bhairahawa and Pokhara airports, this will also be a great relief for our hundreds of thousands of youths who fly abroad for work in Gulf and other countries. This will not only help manage air traffic in the country but also decrease pressure of traffic on the highways connecting to Kathmandu and other problems in the capital that is over populated in the recent years. With the introduction of federal system and formation of provincial parliaments and governments in seven different cities across the country, need of multiple international airports outside Kathmandu has become more relevant. The need of an international airport in Lumbini was always there. As the plan to build Nijgadh International Airport has been dragged into controversy, it is likely to take some more years. And the government’s plan to host 2 million tourists in 2020 has made it more urgent to build alternative international airports. Now the government at the first place should create an environment to complete the airport in time and mustn’t leave any ground that can be an excuse for the contractor to further extend the deadline. The deadline of 2019 mustn’t be missed.